When I first left home for New Zealand in 2011 I never could have guessed the path my life would take. I absolutely loved my time in New Zealand and would go back in a heartbeat. I wouldn’t live there though. Australia on the other hand- that’s a different story. So here I am, in one of the least populated areas in the world, The Kimberly, Western Australia. Four months into my 6 months of work. Some days I feel like I have been here forever, others I feel like I just arrived. I don’t see many people, but I don’t really mind. It can be lonely. It can be breathtaking. It is always beautiful. After a year in Clermont it wasn’t easy to head off, but I was keen to see a new part of Australia. 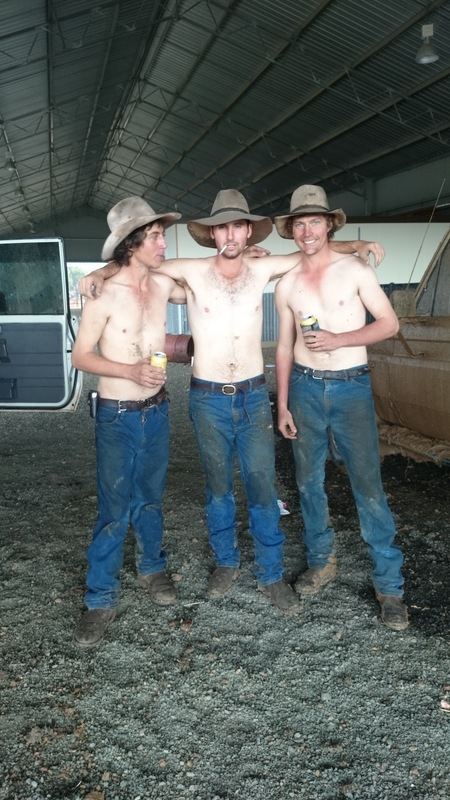 With the drought continuing on throughout much of Queensland and work becoming more and more difficult to come by, I decided it was the perfect opportunity. I was offered a job as a governess, and it was an offer I couldn’t refuse; flights to Broome paid for, more than double my previous wage, free chopper flights, and masses of country to roam. It was a dream job. Christmas carols constantly played through my head as I stood at my gate in the 38 degree heat. I pulled open the gate to my left, to let a couple cows through. Sweat and dust caked my face, but I didn’t mind. I took a few steps back and out of the way as I opened my gate to let cattle into the pen with me. I shut the gate again, still singing carols in my mind. With some droving experience under my belt, it was time to head back to Trelawney to spend one more month with Eva. Kate had gone on a trip to Tasmania and needed someone at home looking after Eva, I jumped at the chance. It was nice to be back for the few short weeks I returned for. Week one was back to Mini School. It was a lovely chance to see some of the other govvies I had met previously. While all the kids were off doing school all the home tutors hung out. 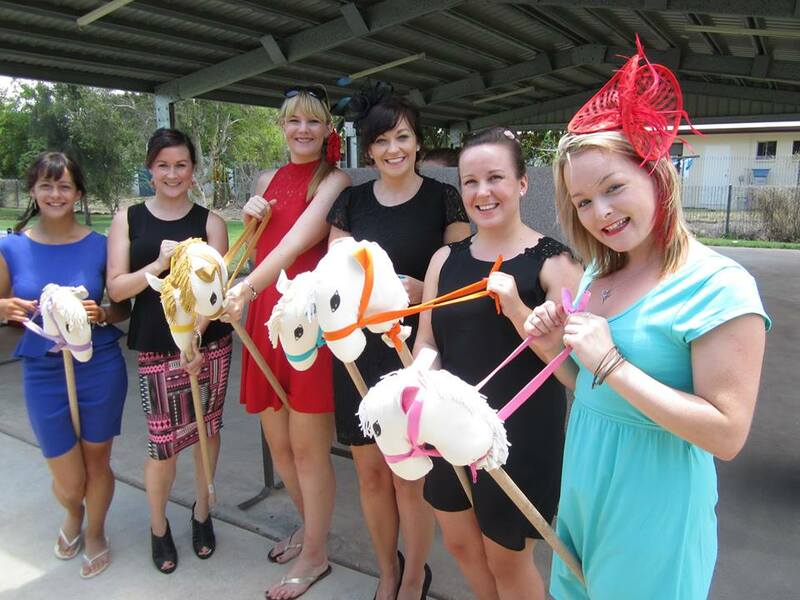 For Melbourne Cup Day we all dressed up for the luncheon being held at mini school. It was great fun as well all drank champagne, ate a beautiful meal, and races around on toy horses. There were many laughs to be had. Cattle everywhere! Spending the past two weeks watching over nearly one thousand head of cattle has certainly been a change of pace for me. I arrived at the farmhouse on a Monday evening. No lights were on, no one was around. The two German girls I now work with were down at the paddock, watering the cattle. John and his wife, Karen, were away for a couple days. Darcy and I finally met Ian, the landowner, who helped me get settled at the house I was to be staying in, he was very chatty and seems to have travelled many places.When Hannah and Tammy returned a bit later and made me feel at home. We headed to bed while the night was still young, in preparation for an early morning start. The first day on the job was very laid back. John and Karen didn’t get back until the evening, so the three of us girls spent the day picking around, doing odd jobs. We watered the cattle, pumping water into the troughs. We had to keep an eye out for cattle falling in. They sometimes get so thirsty the cattle will push and shove other cows into the troughs. The bottom is just plastic and has no grip for the cow to stand back up again. We either have to pull her out, tow her out, or tip the trough and dump her out. While the cow is in the trough we have to have someone holding her head above water so she doesn’t drown. Luckily, we had no problems with that on my first day. We spent the rest of the day taking down an electric fence that we no longer needed. The next day, once John had returned, we rounded up the cattle and prepared to head off to the next stop. We all hopped onto our four-wheelers, making sure they were fueled up, then hit the road. There were a couple new born calves that were too small to walk the seven kilometres we had to go, so we left them in the paddock for the day. When evening rolled around we picked them up and drove them to the new camp. It was a fairly easy day, zipping up and down along the side of the highway, keeping cattle off the road. The odd cow would sneak out, in search of greener grass, bringing traffic to a halt while we brought her back to the mob. For the most part though, the cattle all stuck together and caused no issues. We walked and they grazed as we went. We would stop, and they would graze some more. At the end of the day, although we moved seven kilometres from out previous camp, I had clocked over fifty kilometres on the bike. John’s cattle are very quiet. Even Bob, the bull, never stirs up trouble. Most days are spent sitting on the bike, watching the cattle eat away and making sure they stay in a certain area. 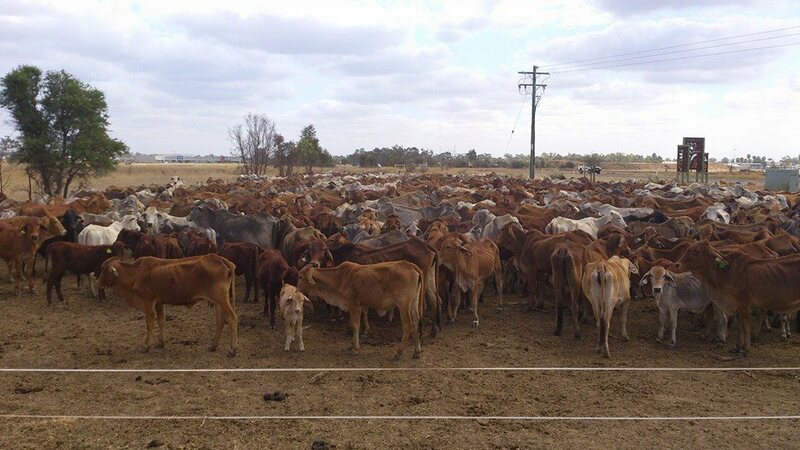 From time to time we will muster the cattle together to move to a different area, but it tends to be fairly calm. We have been lucky with people in the area offering paddocks up where we can take the cattle to feed off what is left for grass. We haven’t walked the cattle far since I have been here. While we were staying on someone’s property, our cattle chewing down their paddocks, John had me try out the motorbike. Apart from in April, when I tried one at Star of Hope, I haven’t driven one. I decided it was time I learn so that if need be, I can ride the two wheeler. I was a little nervous getting on it, as I knew I struggled with my right turns, however the direction I was going I would have to turn right fairly soon. I decided to give it a go anyway. I swung onto the seat, put up the kickstand, and got my balance. I gave the throttle a bit of a twist and let go of the clutch. The bike took off, not too fast, but not slow enough either. With a crash I ran into the back of the trailer, falling over sideways onto one of John’s work dogs. So much for that right turn. The poor dog was yelping and I fought to get the bike off the dog, she ran and hid under the trailer as soon as she was free. John came over to examine the damage done to the bike. The plastic casing was popped off in a couple spots, but I put it all back together that evening. Luckily, the dog was okay. I ran over her paw a bit, but after a couple days she was set to go again. I think I will work on my right turns a bit more before I get back on a motorbike with obstacles in the area. 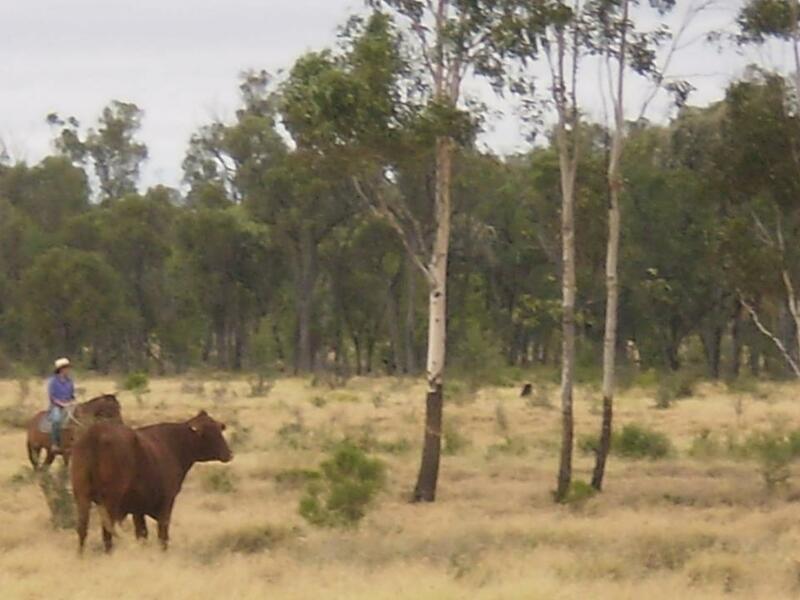 While on the property the next day, I was sat watching the cattle graze. The granddaughter of the property owner came and sat with me on my bike. She’s about five years old and is a chatty little thing. She told me story after story, but the last one made me a little nervous. She began the story with “I went to a graveyard once”. If that isn’t a great start to a story by a five year old, I don’t know what it. Next she said, “There were dead people under the ground everywhere. I remember one man, his name was Thomas”, then came the best part. In a whisper she finished her tale with “He died with the rest of them”. I wasn’t sure whether to laugh or cry. It was a rather shocking tale to hear from someone so young. We are now camped out at a crop farm. The crops have all been cleared and we were invited to bring the cattle here to feed off what is left of the chickpeas and oats. The cattle are all having a good daily feed, and there is plenty of water for them. There is a little dam off one of the fields where we tried to keep the cattle out of. Unfortunately, when there is green feed, and water, the cattle go nuts for it. One cow would sneak down to the waters edge, and as you turned to shoo her away, another would come down from behind. Before you know it, all the cattle were in the dam. 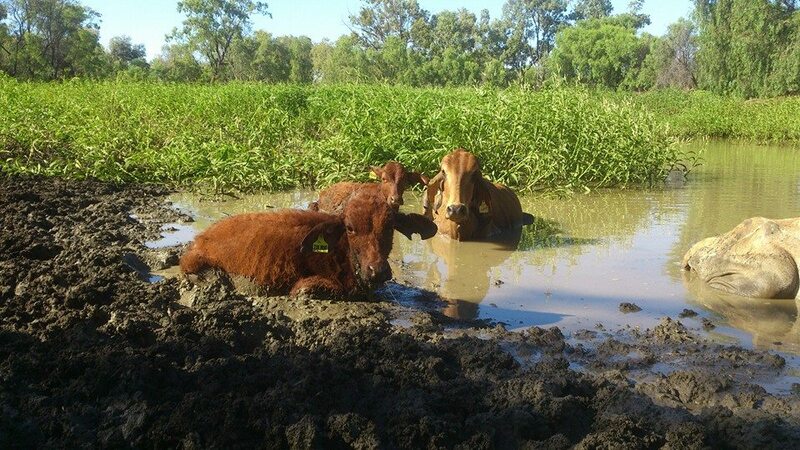 We ended up with thirteen cattle bogged (Australian term for stuck in mud) in one day. 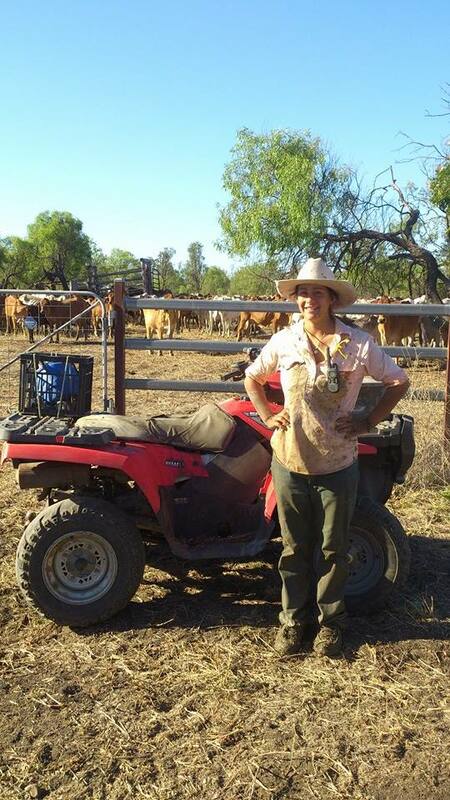 I ended up chest deep in water and mud, trying to pull cattle out of the dam, and send them back out to the paddock. At least I was putting my lifeguard training to use. We put up an electric fence around the whole dam after that. No need for more cattle to get stuck. I have touched electric fences before and you do get a slight shock, this one though, was a bit different. I was placing a bottle on the ground beside one of the fence posts an all of a sudden I was on my hands and knees on the ground. my first thought was that I had been kicked by a cow. It took me a moment to realize that I had leaned into the electric fence and the shock was so strong it had completely knocked me down. At least the cattle stay out of the dam now. One Evening after work, Tammy, Hannah, and I returned to the station we had been on previously. We still had a few calves there, as they were too weak to join the rest. 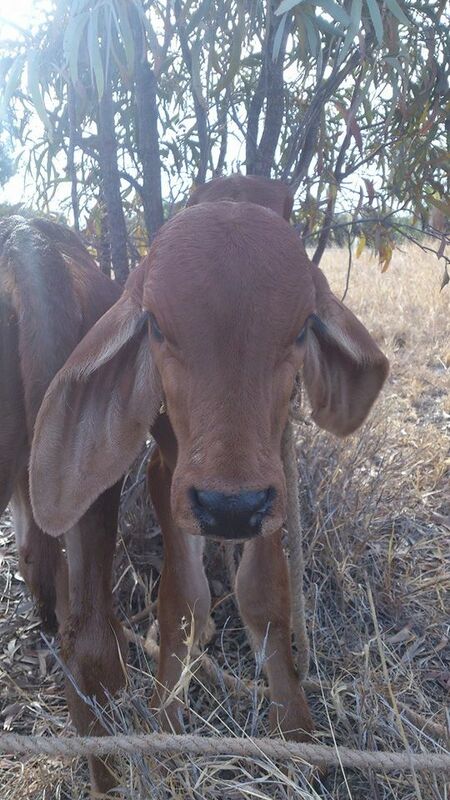 The five little calves are locked up in the cattle yards. We carried over a bag of calf pellets to put into their trough and made sure they had plenty of hay to eat. Then Tammy and I got a brilliant plan. “Let’s pet one”, we said. That was not the best of plans. We cornered the calves and cut out the four bigger ones. The smallest little one was left, he was a sandy colour, with white patches around each eye. He was a bit on the fluffy side and he walked painfully slow, always the last cow on the tail of the mob. I guess he isn’t always so slow. The little calf took off away from us and ran to the other corner of the yard where he managed to squeeze through the cable fencing and disappear into the night. Tammy and I were both completely shocked at how fast he went, at least we know he can move now. We searched and searched for the calf, but it was dark and we never found him. Confession time. We confessed to the landowners, who said they would keep an eye out and put him back in the yards if they saw him. Then we confessed to John. It was just such an innocent mistake. Two girls just wanting to pet the fluffy, little calf. Some days on the job are quite full on, where others are very quiet. I have even gotten to take a nap in the shade when the cattle were particularly quiet one day, then on a different day, have driven my bike back and fourth after cattle so much I have run my bike completely dry of fuel, then refilled it, and run it nearly dry again. The job does not consist of moving the cattle from place to place as I had thought it would be. I am still enjoying myself though and have gotten myself a fancy new farmer’s tan. I wear Wrangler jeans and R M Williams work shirts, and even have myself a cowboy hat. I’m pretty much Australian now. Since my arrival at the farm, not a day goes by where I do not learn or experience something new. 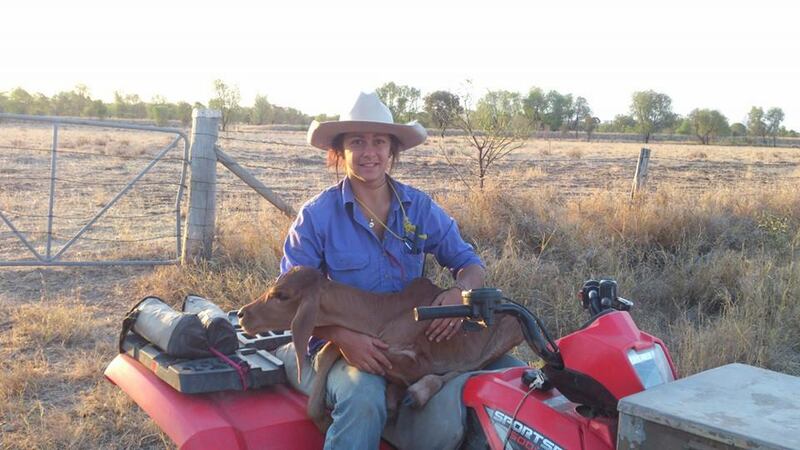 Some days are definitely more eventful than others, especially the days I went cattle mustering for the first time, and pig hunting for the first time. Growing up I’d ridden horses a few times. As a kid I spent a few summers going to petting farms with my cousins, I used to absolutely love going. The pot-bellied pigs were one of my favourites to see. The pony rides were also fun. Now, I know riding on a pony, in circles around a pole, is not quite the same as riding a full sized horse around thousands of acres in the outback, but it’s still experience. I’d been on a proper horse, maybe three times that I could think of. Two of those were trail rides when I was fourteen, the third time was nearly two years ago while visiting friends in Eastern Canada. One of my best friends was working at a barn, breaking in horses, while I was visiting, I went to the barn with her. I had the opportunity to take one of the horses out for a short trot around the ring. Again, not quite the same as chasing cows around the Australia outback. 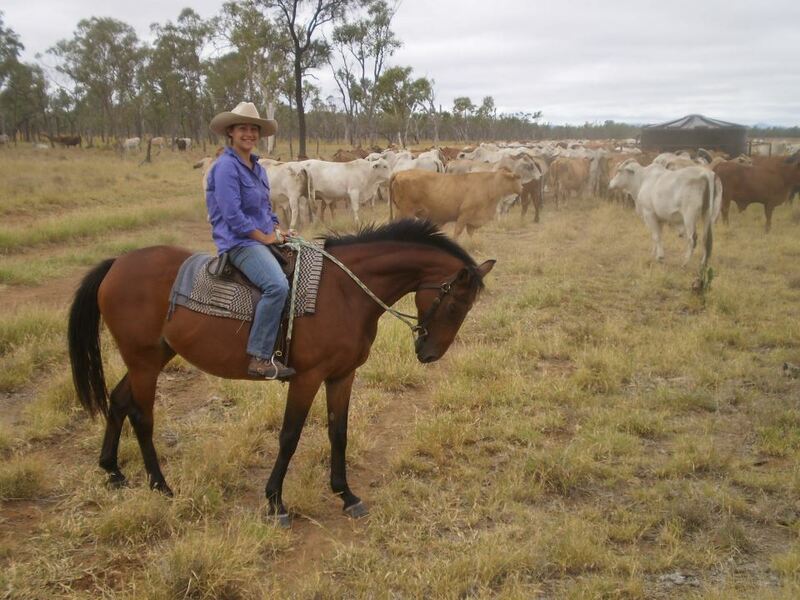 When Monday morning rolled around and Kate informed me we would all be going mustering on Thursday, I asked if I would have a chance to get up on a horse before-hand, just to get a feel for it. She threw me a bit of a smile and told me, “no, probably not. You’re just going to get thrown into it.” And that’s exactly what happened. Thursday arrived quickly, and I was thrilled and a bit nervous to be going mustering. I pulled on my jeans, and a long sleeved shirt Kate had lent me. I laced up my shoes, tied my hair up, and make sure by ball cap was nice and snug on my head. I grabbed my camera and made my way to the house, ready for the day. “Is that the only hat you have?” Kate asked when I walked into the house. When I said it was, she pulled down o brimmed hat from a rack and handed it to me. 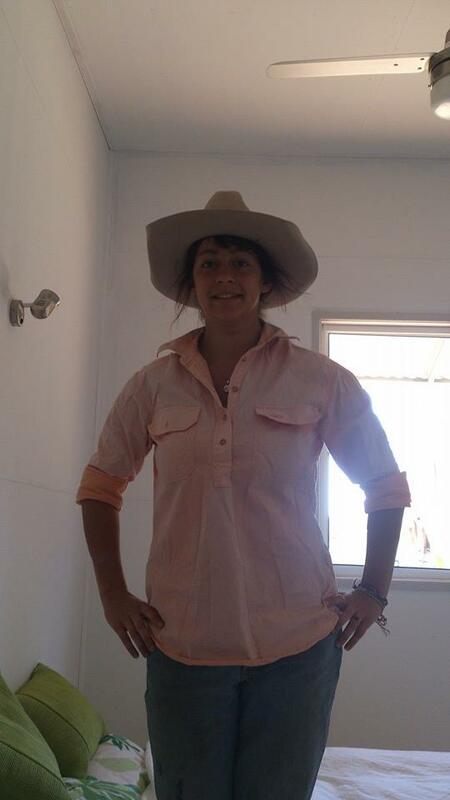 With a cowboy hat on, I was really ready for mustering! We piled in the ute and drove down to the yard where our horses were saddled up and waiting for us. I was introduced to Candy, the horse I would be riding for the day. She was a beautiful horse, very calm, and she didn’t cause me any problems. She was very slow though so I was constantly having to nudge her to catch back up with everyone. She didn’t have much personality, but she knew what she was doing when it came time to muster. That was a great thing considering I didn’t have the slightest idea. 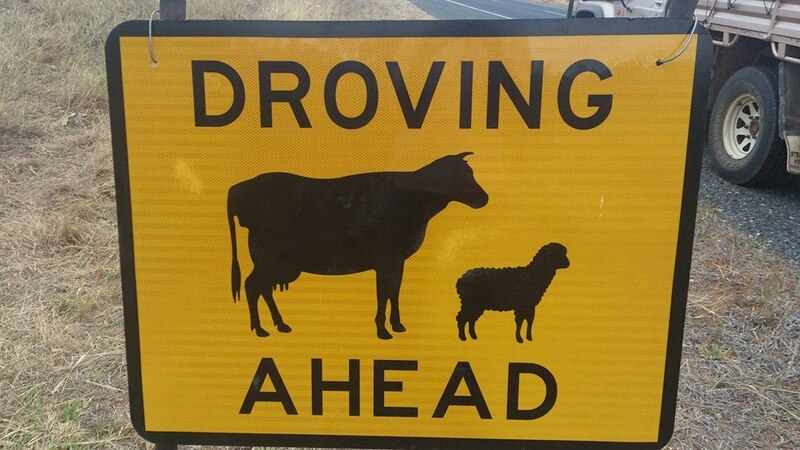 I was often just told to go “that way”, and to “get those cattle over there”. There wasn’t much more instruction than that, but watching everyone, I learned. 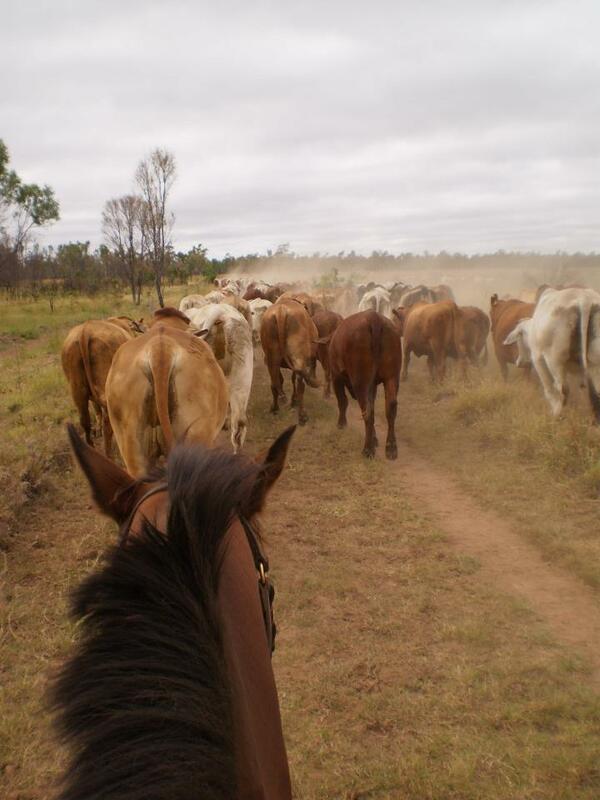 I thought at first that mustering would be fast paced, really hectic, chasing cows in circles. It was rather relaxing though. Walking them, so they burned fewer calories, standing in one spot and showing them they cannot walk in your direction, encouraging them to head towards the yards. It was four and a half hours of walking the horse alongside cattle, making sure they didn’t stray off the trail. I was instructed to bring up the rear, making sure no cows were left behind. Everyone was up much further than I, when tow of the bulls started to fight. they started clashing heads and shoving each other around. All the other cattle kept moving up along the trail as I stayed behind with those two. I had no idea what to do, worried that they would attack me if I tried to get in too close I would just take a couple steps at a time, trying to edge them towards the group. It wasn’t working very well. Luckily, Brent noticed what was happening and sent the dogs back. These little short haired collies came tearing down the paddock. They started circling the bulls, darting in and out from under their heels. The two beasts stopped picking fights with each other and set their minds on avoiding the dogs. It didn’t take long before they were back in line and making progress to the yards once again. We made it back to the yards and had all the cattle nearly in, when one kicked up a stink. He went a little mad and didn’t like what was happening. Maybe he knew he was about to be sent off for beef, or maybe he was just moody. He turned from the group and went charging. Kate and Eva moved to the far end of the lot, getting out of his way. I moved Candy out of the way too. The beast charged right into the barbed wire fence. shoulder down he pushed and pushed until he snapped the fence, then he took off running. David and Anthony took off after him, the dogs easily keeping pace. The rest of us made sure the rest of the cattle were in the yard and no more were about to come charging. Then we waited. It wasn’t too long before the men returned with the problem maker and had him locked away with the rest of the cattle. 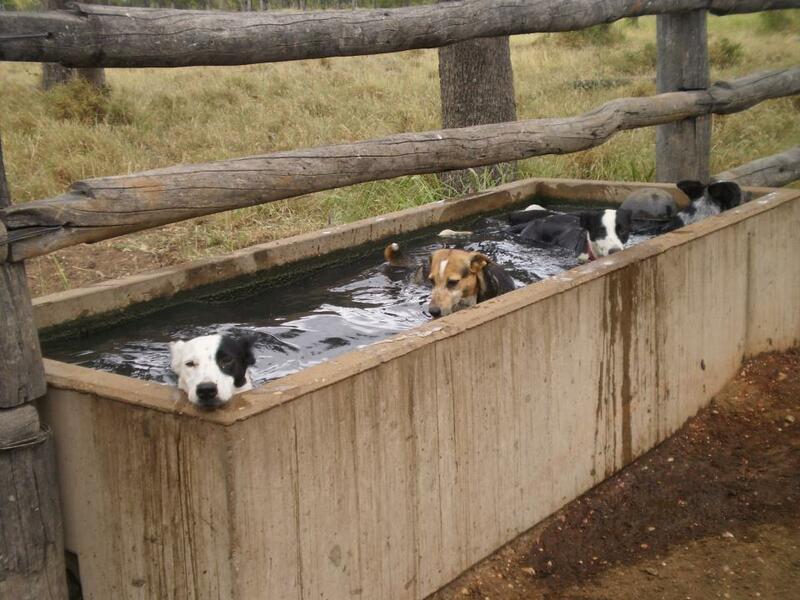 The dogs, tuckered out from all the excitement, ran straight to the water trough and hopped in for a swim. All in all it was a fantastic day, and by then end of it I was agreeing to head out pig hunting on Saturday. The weekend arrived quickly and I prepared for another day of learning and adventure. I had never been out hunting of any kind. Never shot an animal, never trapped an animal, and especially never stabbed one. I suppose there is a first time for everything though. Now, before I get too far into this, I must explain that feral pigs are quite a problem out in rural Australia. They cause a number of problems for farm owners and have had a rather large population boom recently. They’re a pest out this way, and it’s a problem farm owners like to keep under control. If no one on a property pig hunts, people are often brought in to do the pig hunting. Can’t let their populations get too out of hand. With that aside, let me get into it. I rose with the sun on Saturday, looking forward to my pig hunting adventure. I was quite unsure about the whole situation as I am well aware of how soft I can be. I was worried I would feel extremely guilty, and possibly cry, while out killing pigs. That would be awkward. 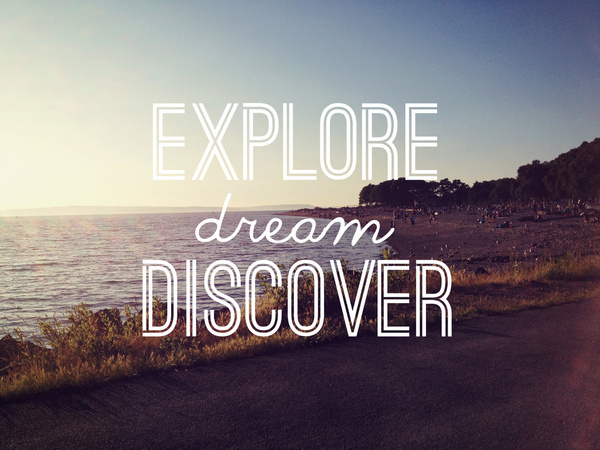 It was something I wanted to try though, get out and try something new. Just to see. Anthony knocked on my door as the clock edged towards noon, and we hopped in the ute to head to the Silver Plains house. Brent and Cassandra were up and about on the property when we arrived. I was introduced to all their dogs, but of course, I don’t remember any of the names. Cassandra and I sat in the shade and chatted while the two men fiddled around with an old truck for a couple hour. Cassandra is much closer to my age than Kate and David, so it was nice to have someone to have a laugh with. Before the afternoon was over we loaded up the ute with the dogs, an esky (the Australian word for cooler) filled with beer, Cassandra and Brenton’s two kids, and the four of us. Brent, his son, Brody, and and Anthony, were sitting in the cab of the ute, while Cassandra, Chloe, her daughter, and I, sat atop the dog cage on the back. We took off driving down the dirt road, the warm sun above and a cold drink in hand. We drove from one paddock to the next, keeping out eyes peeled for feral pigs. We checked out different watering holes, hoping the would retreat there for a drink on such a hot day. It wasn’t long before we saw a slew of them huddled together in the distance. We had to stop to go through a gate and the pigs saw us. They took off running through the paddock, so Cassandra released the dogs. The three dogs took off running after the pigs, knowing to go after the biggest one of the group. We crossed through the gate and drove in the direction the pigs had run. There was an awful squealing coming from inside a patch of trees. The dogs had one. We stopped the ute and I jumped off the back. We took off running through the bush, the noise getting louder by the second. We came into sight of the three dogs, they were holding down a rather large sow. The pig continued to squeal as the dogs held it down by its ears. Brent ran over and grabbed the pig by the hind legs and lifted them into the air. he flipped the pig over so she couldn’t fight back as much, then pulled out the knife. It was a bit sickening watching it sing into the soft flesh. It was a quick death and the pig sank back to the ground. We all crouched behind the sow and posed for a photo before hopping back onto the ute and heading off to find another pig. I did actually have to put an effort into not shedding a tear as we drove around looking for the next pig. I felt guilty, and sad about the situation, but I couldn’t help the excitement that came with it all too. I could feel the adrenalin running through me, I had to take a moment to consider my sanity. Is this how serial killers start out? We caught two more pigs that day, and that was a full on rush. we circled a group of them, getting a bit closer with each passing second. The dogs took off, each after a different pig, and we made our rounds to catch them. It was too fast paced for me to jump in and get one myself, but I was okay with that. Maybe next time. It was a very full on day and I was exhausted by the end of it. We got home around eight and it wasn’t long before I was fast asleep. Luckily, I had no dreams of pigs that night.